Many of the materials – created both immediately before and after the enactment of 32&33 Vic. c. 42 sect. 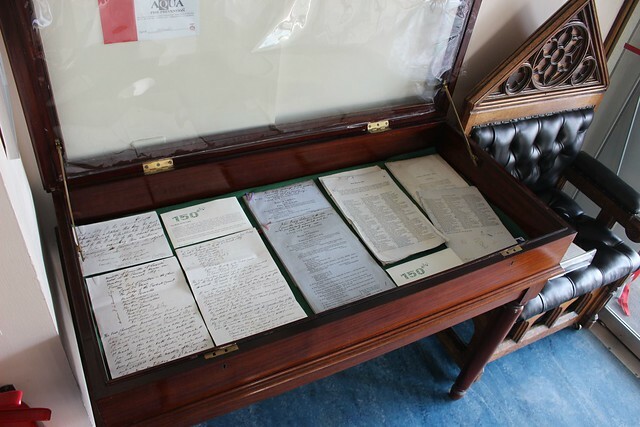 2 – were formerly securely stored in a metal trunk labelled ‘General Convention Box’, housed in the central offices of the Representative Church Body (initially at 52 St Stephen’s Green, and more recently at Church of Ireland House in Rathmines) before their transfer to the Library in 1998 where they were accessioned in detail as the GC/ series). 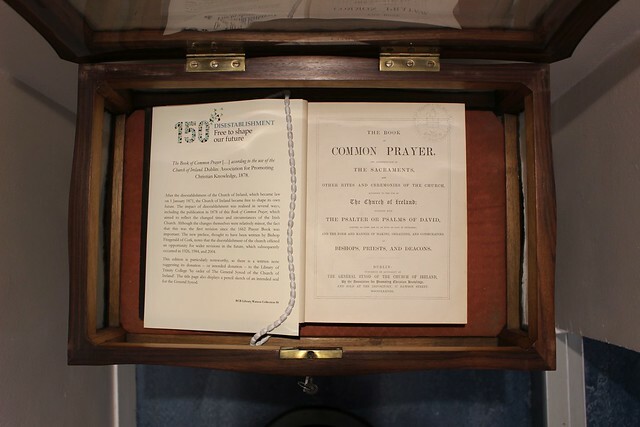 Collectively the collection charts the evolutionary story of the state–run Church to an independent, largely voluntary and minority denominational Church, from the perspective of those who achieved tasked with making that transition happen. Click here for catalogue list. RCB Library D150 exhibition - large case. RCB Library D150 exhibition - small case.